All you need to know about tempus te. I do not operate a drop-in option for any of my Pilates classes. Attendance is by pre-arrangement only. If you have not attended my Pilates classes before then you will need to book an initial Pilates assessment before you can attend. An Initial Assessment is an hour appointment and costs £40. 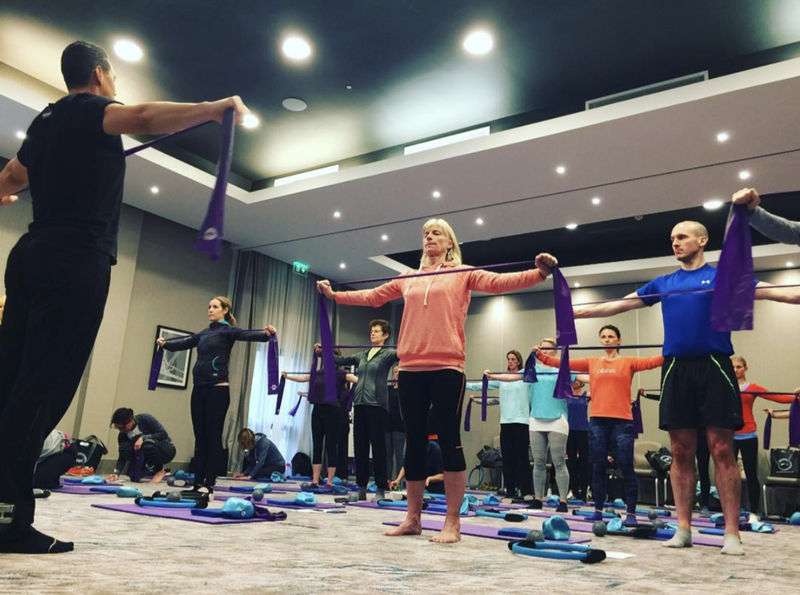 The assessment gives me an opportunity to conduct a medical screening and discuss any concerns you may have about the classes, any previous or ongoing injuries, or anything that may relevant to partaking in a Pilates programme. It also lets me introduce to you the Pilates techniques that I teach before your first class. Following the assessment I will send you a personalised exercise programme to prepare you for your upcoming classes. For all pricing and particulars about the classes please download the Pilates terms and conditions. For all enquiries about current class availability please email me - william@tempus-te.com - or telephone on 07864 649720. To view details of all classes I teach in and around Oxford please download the tempus te Pilates calendar. For all enquiries about current class availability please email me - william@tempus-te.com - or telephone me on 07864649720. I teach Pilates to many different people. Primarily those I see most have suffered with painful backs, although there are a large number who have never had an injury and simply want to get stronger to help their sporting pursuits. I also teach new and expectant mums, ideal for the kind of issues that can develop in the ante and post natal periods. I also see clients for one to one Pilates sessions. These appointments are brilliant for mastering difficult techniques, focussing on sports-specific Pilates exercises or simply for getting individual, one to one tuition on any aspect of your exercise or recovery. I use many different techniques and pieces of equipment when teaching, but above all I pride myself on my classes being challenging and enjoyable in equal measure. My passion is helping others improve and better themselves and I hope I see you in class soon to begin your Pilates journey! Pilates was created in the early twentieth century by a man who believed that injuries were caused by imbalances in the body and habitual patterns of poor movement. This theory has since stood the test of time and scrutiny, and in the present day a large part of the Physiotherapeutic approach is devoted to correcting muscle imbalances in the lower back and other joints throughout the body. Often where injury or poor movements patterns are present recovery is not automatic. Pilates is a brilliant tool for discovering where weaknesses lie, which then gives you the ability to correct them, safely, and learn how to move properly and confidently. The Australian Physiotherapy and Pilates Institute (APPI) is a world leading provider of Physiotherapy and Pilates treatment, education and products. From its humble beginnings in Melbourne, Australia, APPI's unique programme of rehabilitation-based Pilates programmes has lead the world for over 17 years. As a Fully Certified APPI Instructor (see my listing here) I have undergone gruelling training as well as practical and physical examination and must always demonstrate improvement and continuing professional development in order to maintain my qualification. This will guarantee that all my clients receive not only the latest techniques and approaches but also motivating and dedicated Pilates tuition, delivered safely and professionally. Me and APPI Co-Founder Glenn Withers at the Oxford Conference November 2017.